Fort Lauderdale Therapist: Jason Wasser - Therapist 33301. Send A Message To Jason. Jason Wasser has an extensive background in working with youth and adults from all walks of life. His positions have included serving as a Student Life Coordinator at Princeton University and directing non-profit community educational and recreational programming. A sought after speaker, Jason has conducted numerous seminars at college campuses, retreats, and educational programs on topics including: spirituality, relationships, healing, business/entrepreneurship and leadership. He has an interest in working with entrepreneurs and high performance individuals through his consulting and coaching and utilizes integrative and alternative medicine modalities to amplify his successful outcomes with his clients. Jason graduated from Nova Southeastern University with a Masters Degree in Marital & Family Therapy, Certificate in Sports & Fitness Psychology from California State University and is a Licensed Marriage and Family Therapist, Certified Addictions Professional (CAP), and Certified Hypnotherapist. 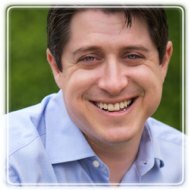 He is one of five mental health professional in the world with a Level III Certification in Neuro Emotional Technique and holds Certification as a Business and Entrepreneur Coach. As a Clinical Member of the AAMFT, he served as a past Board Member of the Broward Association for Marriage & Family Therapy and is a Florida Qualified Supervisor for registered MFT and MHC Interns. Jason is the owner of The Family Room Wellness Associates, a Mind-Body therapeutic healing practice in Fort Lauderdale and works with children, couples, individuals and families. He promises to not be your typical therapist while helping you achieve health, hope and happiness!